AnonD-54342, 07 Sep 2012wtf is this design thats the same as lumia 800 , 900 and n9 Exactly. I think that everybody expected much more from Nokia. Honestly they bring only few improvements. wael saudi arabia, 07 Sep 2012blackberry 10 is the best than others ok i like blackberry no one cares in your bb anymore! if this new guy proves the camera abilities as close to pureview 808, i'll definitely consider to buy it. those fake camera news made me suspicious. 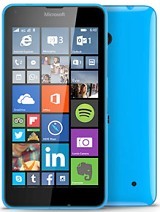 i'm also kind of curious about wp8. i'm really happy with my old android device, yet i'm open for a new experience. i wonder if wp8 is close enough to the freedom of android. AnonD-27473, 07 Sep 2012I am just doing prediction and however the wp8 OS is didn't stable yet...I think when it is st... morethats good! i just want to cleared it! iSJ5, 07 Sep 2012did you use it already?I am just doing prediction and however the wp8 OS is didn't stable yet...I think when it is stable, it will be the powerfull devices In this world. 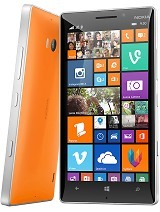 I have seen many Nokia Lumia 920 video that upload to YouTube. 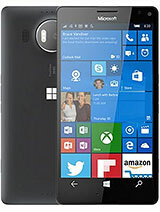 Nokia Lumia 920 perform much more better than others. I am waiting this phone come out on the store and I will buy it!!!!! 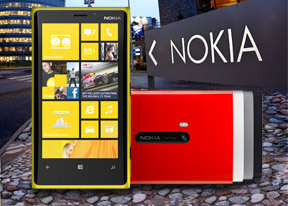 Nokia has got my attention again , after a couple of years of setback it looks like their new line of smartphones is catching up the lumia 800 is a good phone and it seems its getting better ... any review on the windows phone 8 os out there ? Anonymous, 02 Sep 2012isj5 please get out you troll, you always talk about how iOS is the best with no flaws, everyt... morei just read all of your pathetic comments! and i notice that you are much troller than me! lol! btw there is other havy troller than us is using my nickname so know it first if thats realy me! [deleted post]did you really think that you need all of that? think about it for yourself, PAKYA! Mobilemaster, 07 Sep 2012How many waterproof phones are today in the global market?? Not many! Sony has 2 serious hands... moreonly fisher man only need waterproof! why need waterproof if you not always going in water! that people dont need waterproof! Neha, 07 Sep 2012Krait 1.5 Dual with 5 inch Full HD Screen and Water/Dust proof is Eluga Power from Panasonic. ... moreare u serious pansonice is better than nokia? [deleted post]did you use it already? Neha, 07 Sep 2012Krait 1.5 Dual with 5 inch Full HD Screen and Water/Dust proof is Eluga Power from Panasonic. ... moreBut the Eluga Power lacks an Led Flash lol! :P I want Sharp to enter in the global markets.